I know this is subjective and subject to your environment but what is widely regarded as the most favourable antenna for LPFM use ? I think this depends on which area I wish to cover and where the site is. If the site is outside a city and you wish to cover the city a yagi could be preferable as well as 5/8 can be quite sufficient if you are within the area you wish to cover. As i mention it is obviously subjective, when you mention "within the area you wish to cover" surely all aerials cover their immediate surrounds? Personally I like the slim jim design. I have built a few different antennas (i'm not fantastic at it, but can follow guides and make calculations etc and if you can do it, it is far cheaper than purchasing one). I have built a dipole, stacked dipole (this was a knightmare to tune and eventually I gave up and moved on...), 5/8 wave vertical (that snapped in the wind), a J-pole and finally I have built a slim jim variant that to be honest, rocks with a noticable distance improvement on signal. It is strong and sturdy, easy to mount and fairly easy to construct and tune. 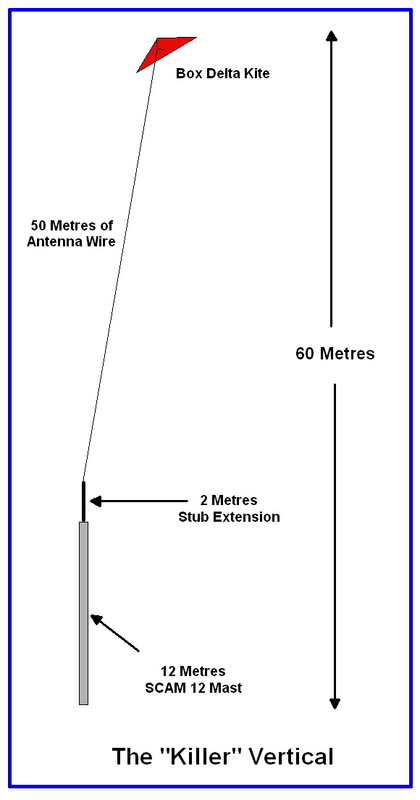 I have mine to about 1:1.1 VSWR which I think is excellent for a home made antenna. i agree with the "slim jim". I tried a dipole, vertical, and "slim Jim". I was dissapointed tremendously with the vertical, same with the dipole. But the slim jim seems to work great! Distance is wonderful and the coverage is omni-directional. It is also very easy to make.